Dr. Laurence Eric Dopkin, MD SGU ’98, is Assistant Dean of Students (US) at St. George’s University, as well as the Acting Director of Behavioral Health/Associate Director of Child and Adult Psychiatry at the Morrisania Diagnostic and Treatment Center in the South Bronx, New York City. He has been a Professor of Psychiatry at SGUSOM since 2013 and an Advisor in the Office of Career Guidance since 2010. Dr. Dopkin is a Distinguished Fellow in the American Academy of Child & Adolescent Psychiatry, and a Fellow in the American Psychiatric Association. After graduating from SGUSOM, Dr. Dopkin completed residency training in general adult psychiatry at Brown Medical School (1998-2001) and continued at Brown completing a fellowship in child and adolescent psychiatry (2001-2003) where he was Chief Resident and Assistant Instructor in psychiatry. From 2003 to 2008, Dr. Dopkin worked at Elmhurst Hospital Center in Queens, NYC as the Director of the Psychiatric Emergency Room, Associate Director of Residency Training, and Clerkship Director for SGUSOM. In 2007, he received the Best Teacher of the Year award from the Mount Sinai-Elmhurst psychiatry residency program. 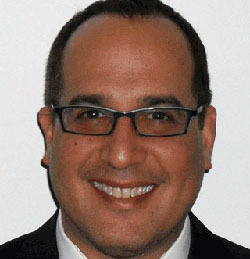 In 2008, Dr. Dopkin moved to Lincoln Medical and Mental Health Center in the South Bronx, where he served as Vice Chair of Clinical Operations, Associate Director of Residency Training, Director of Outpatient Psychiatry, SGUSOM Psychiatry Clerkship Director, and Associate Director of Medical Education for SGUSOM. From 2011-2014, Dr. Dopkin served as the Director of Psychiatry Residency Training and Deputy Chief of Service at Metropolitan Hospital Center in Manhattan. He received the Faculty Recognition Award for Excellence in Teaching and Mentorship from the New York Medical College-Metropolitan psychiatry residency program in 2012.